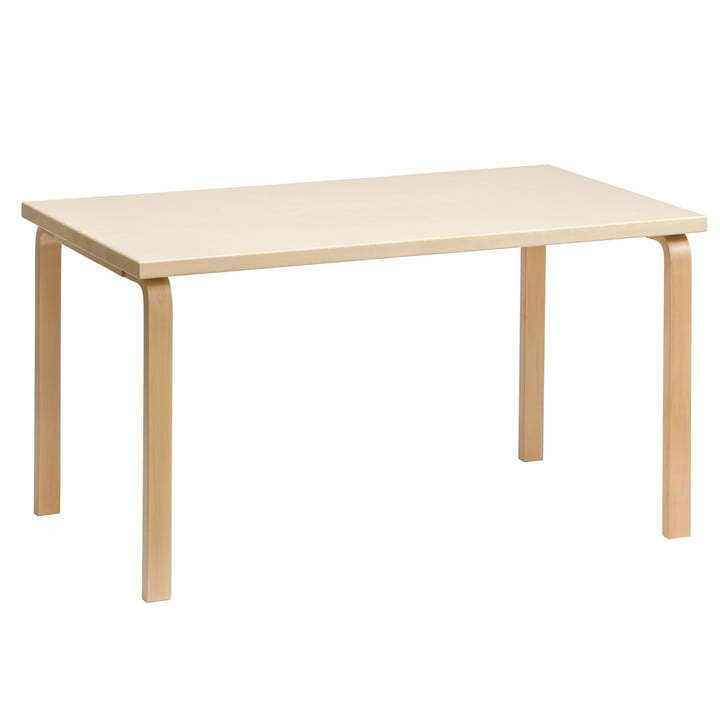 In addition to some other tables that Alvar Aalto designed to match the chairs in the Viipuri library, Table 81A also emerged in 1935. The series consists of tables of different sizes, including extendable versions, four or three-legged tables with round, half-round or square tabletops. Like the legs of the Viipuri chairs, the table legs are made of laminated birch wood bent into an L-shape: the first successes of Aalto’s experiments in bending laminated wood. With these experiments, he achieved highly interesting results: Light-weight, swinging furniture, which was not found anywhere else in the 1930s or later. The rectangular 81A table can be used as a side or coffee table, but is also suitable as a bedside table or as a decorative entrance hall object. 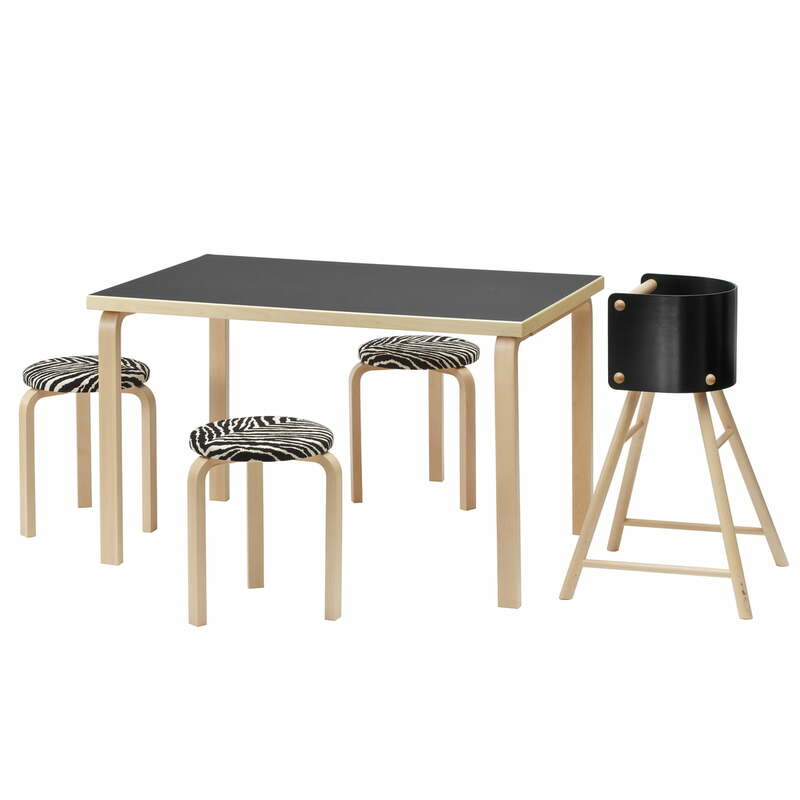 The four legs of the table are, like in the original design, made of varnished natural birch, whereas the 4 cm thick tabletop is offered in different versions. The four legs of the table are, like in the original design, made of varnished natural birch, whereas the 4 cm thick tabletop is offered in different variations. The rectangular table 81A can be used as a desk or dining table. 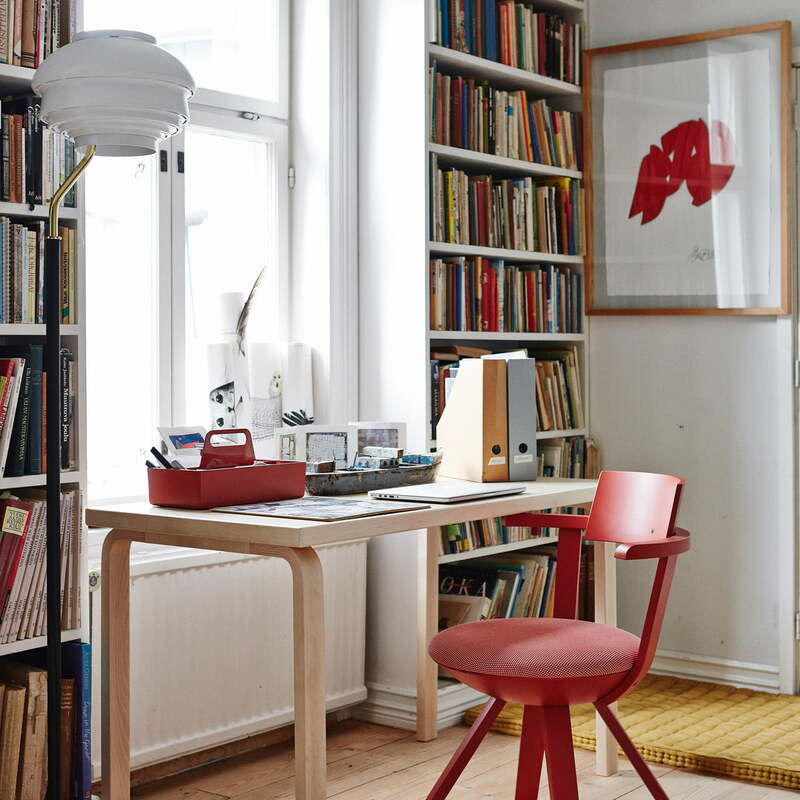 It looks great with the A808 floor lamp by Alvar Aalto for Artek. 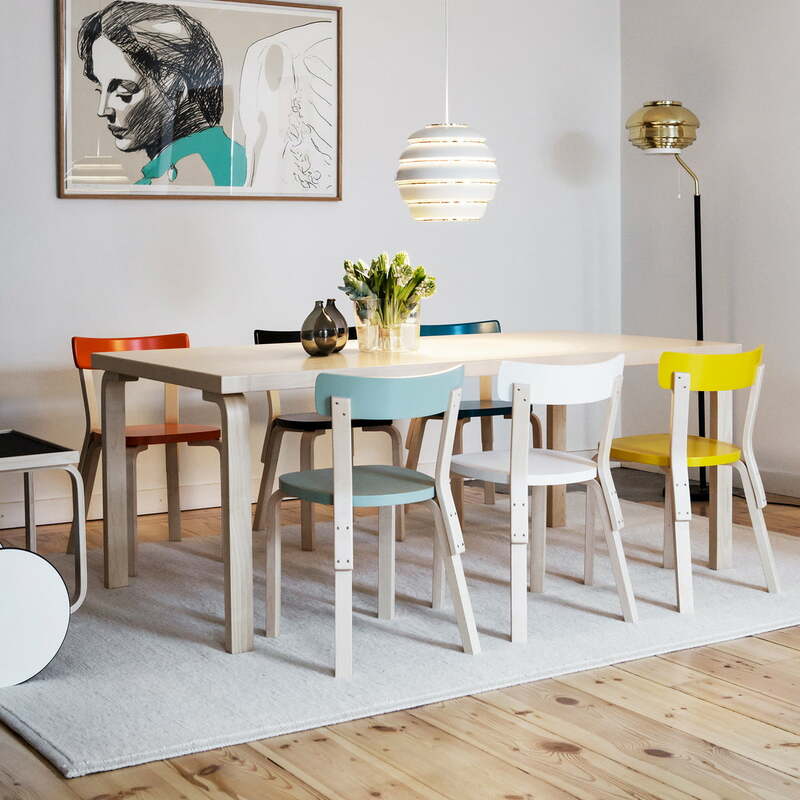 The floor lamp A808 with the table 81A by Artek in an ambient setting. The floor lamp and table make a beautiful ensemble in the dining room.